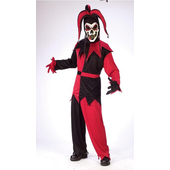 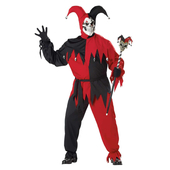 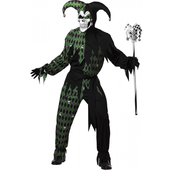 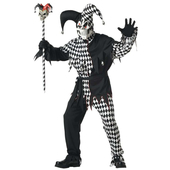 Evil Jester Costume includes a red and black top with long sleeves which are elasticated at the cuffs, trousers with elasticated waist band and ankles, belt, padded horn headpiece with skulls on the ends and rubber mask which has holes for eyes, nose and mouth. 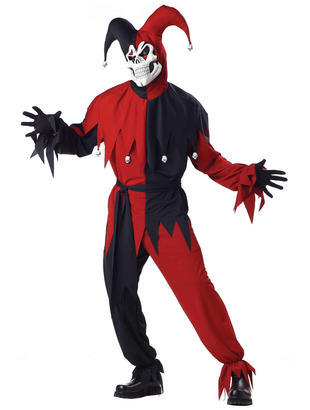 Mask is held in place by elastic around the head. 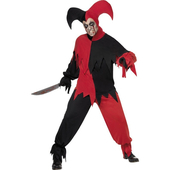 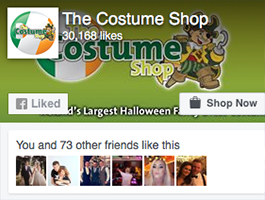 Small: Chest size 38" - 40"